Andrew Bereza is an 18-year-old indie game developer. After messing around with ROM hacks and various level editor flash apps as a kid, Bereza discovered Roblox in 2009 and has been building online worlds on the Roblox platform ever since. Bereza’s first full-fledged game, 2 Player Gun Factory Tycoon topped Roblox’s most popular game chart when it launched in 2014. A year later he created Miner’s Haven, which officially turned his hobby as a game developer into a career. 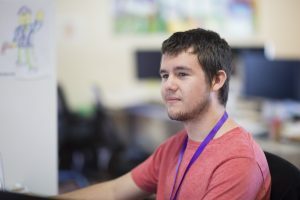 After completing a productive summer internship at Roblox in 2017, Bereza enrolled as a freshman at the University of Washington, where he is now pursuing a Computer Science degree. He continues to develop games in his spare time.